Aloha!! I just got home from a wonderful vacation in Oahu, Hawaii and it was such a fun time in paradise. It is such a dreamy place to visit and my family goes often, so we have lots of favorite food spots we always want to make sure and go to while we're there. One of those favorites is Kahuku Grill on the North Shore that is famous for their delicious coconut shrimp, but I also love their fish and you can't forget the best part - dessert, which is a must-have there because they make a homemade coconut chocolate chip banana bread and turn it into a sundae! It is seriously amazing!! So lucky for all of us, the wonderful chef Jenny, of Jenny Evans Gatherings has created the recipe and is sharing it with all of us today. I was lucky enough to attend one of Jenny's cooking classes a couple of months ago in her gorgeous home and it was so fun. She made five different dishes that we all got to indulge in after and I couldn't get enough of them all, everything was divine. I loved watching her cook and learning her little tips as she went through each recipe. She is such a delightful person and someone who I wish I lived closer to because I would want to hang out with her all the time, she's just that great! If you have the chance to attend one of her cooking classes then I would jump at the chance in a heart beat, it's well worth it! 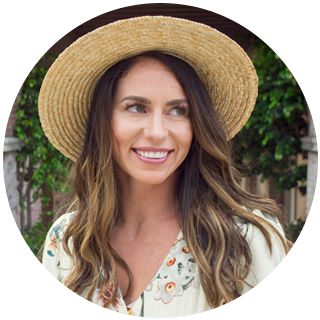 You can also follow her along on Instagram and check out her blog for recipe ideas and get the latest info about her cooking classes at jennysgatherings.com. Preheat oven to 350 F. In a mixing bowl, add the butter, coconut oil and sugar. Mix until smooth. Add the salt, baking soda, 2 egg yolks, and coconut extract. Mix well. In a separate bowl, beat the egg whites until stiff. Set aside. Add the coconut flour, all purpose flour and shredded coconut to the butter mixture; mix well. Add the bananas and mix well. Add the chocolate chips and mix until just combined. Fold the stiff egg whites gently into the mixture by hand. Turn the batter into a well greased loaf pan. Bake for 1 hour and 8 minutes.